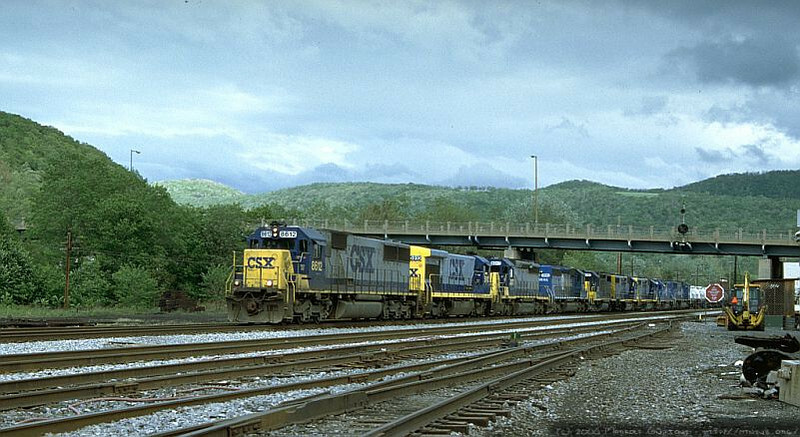 Q317 arriving at Keyser, WV with 9 units. Two will be set out at 'Z' Tower. 2000.